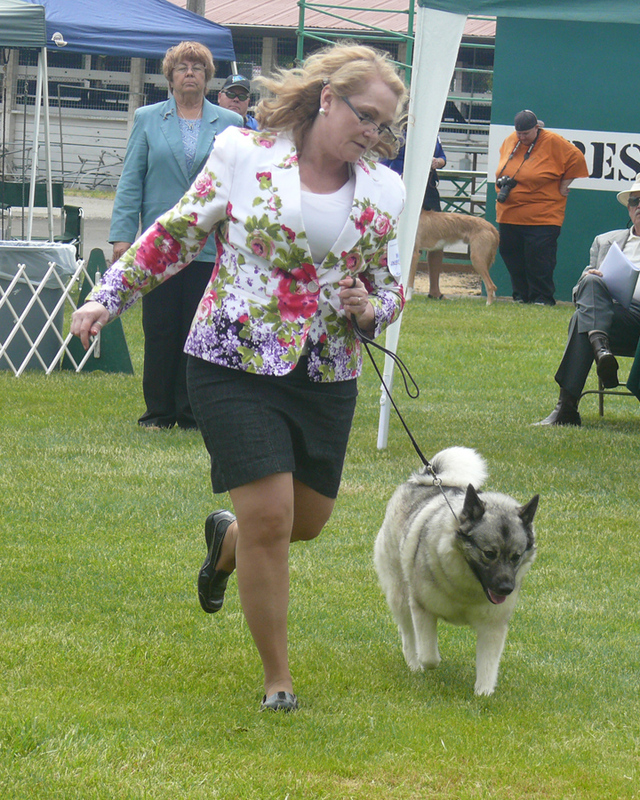 Showing dogs is a great sport where the thrill of competition is combined with the joy of seeing beautiful dogs. 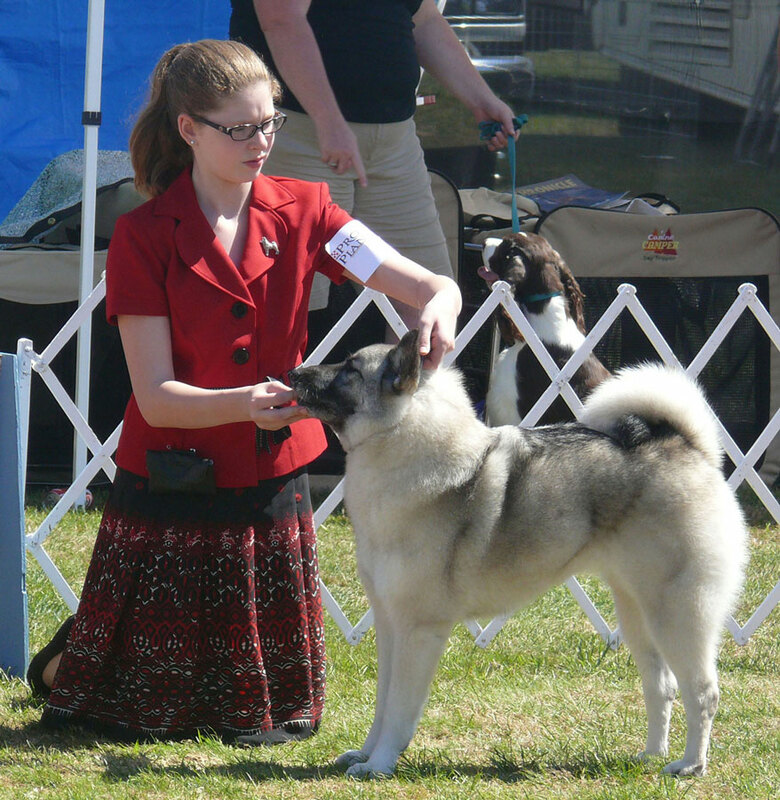 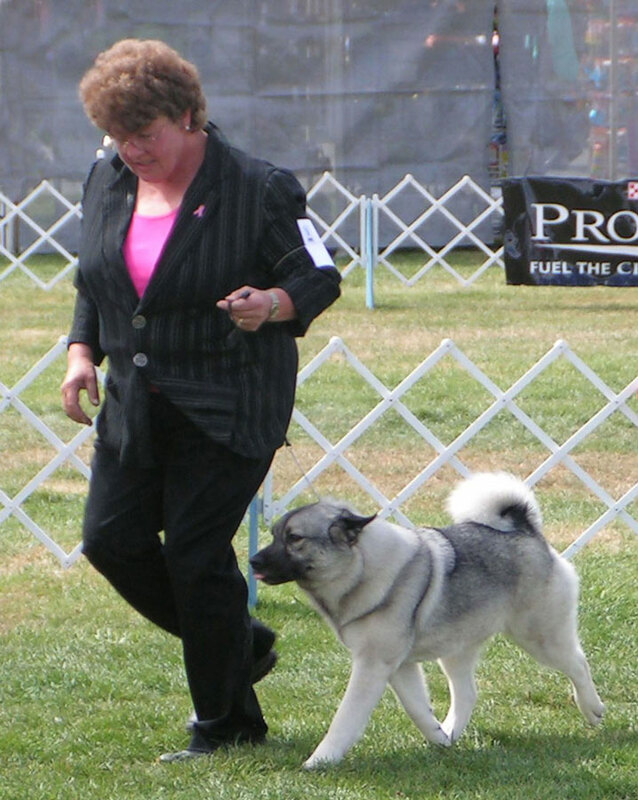 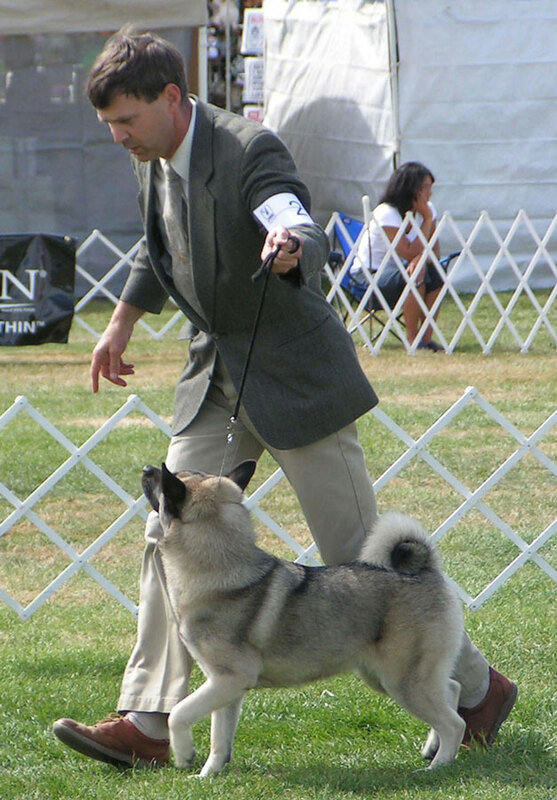 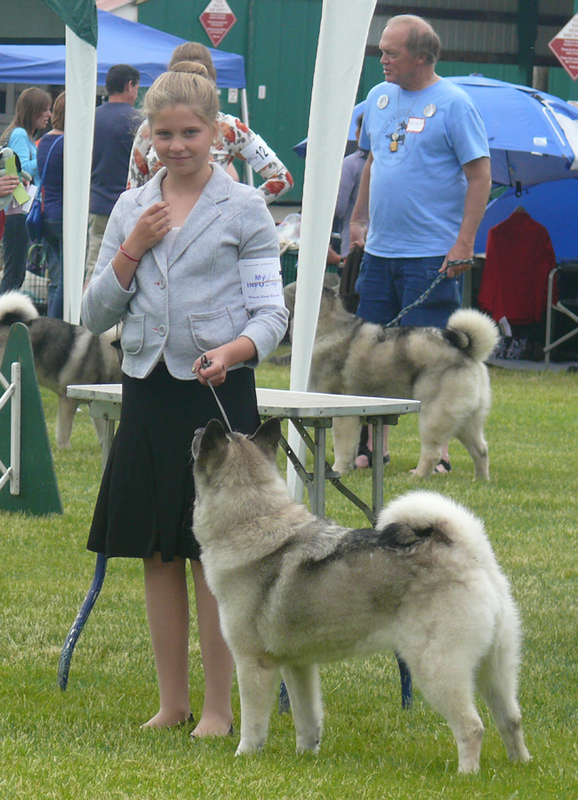 Dog shows are one of many types of AKC dog events in which AKC-registered dogs can compete. 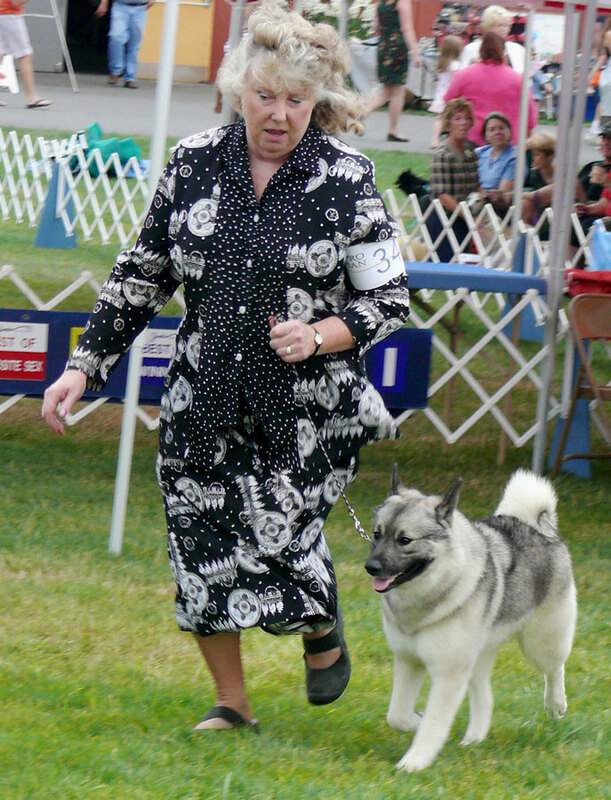 These events, which draw over three million entries annually, include dog shows and tests of instinct and trainability, such as obedience trials, Canine Good Citizen tests, field trials, agility trials, lure coursing, rally, hunting tests, herding trials, tracking tests, coonhound and earthdog events. 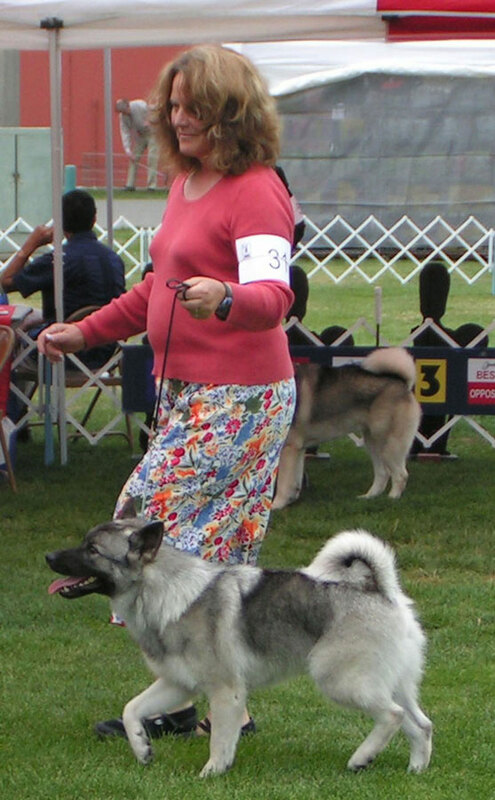 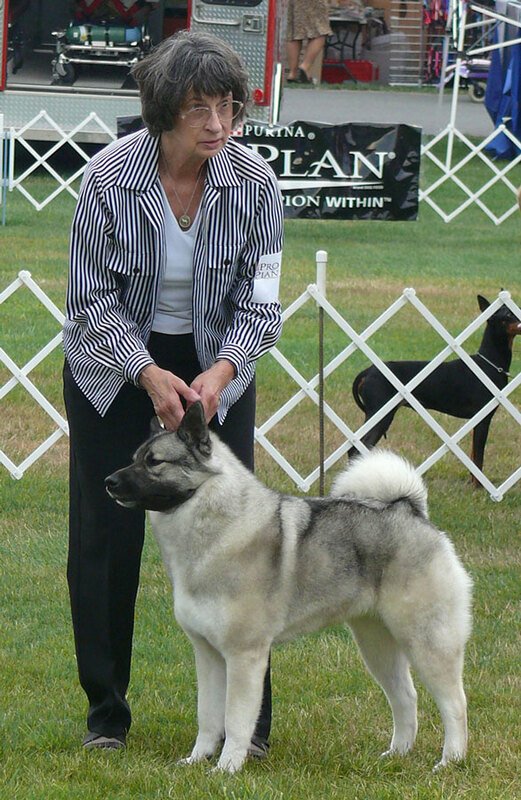 Dog shows (conformation events) shown in the slide show above, are intended to evaluate breeding stock. 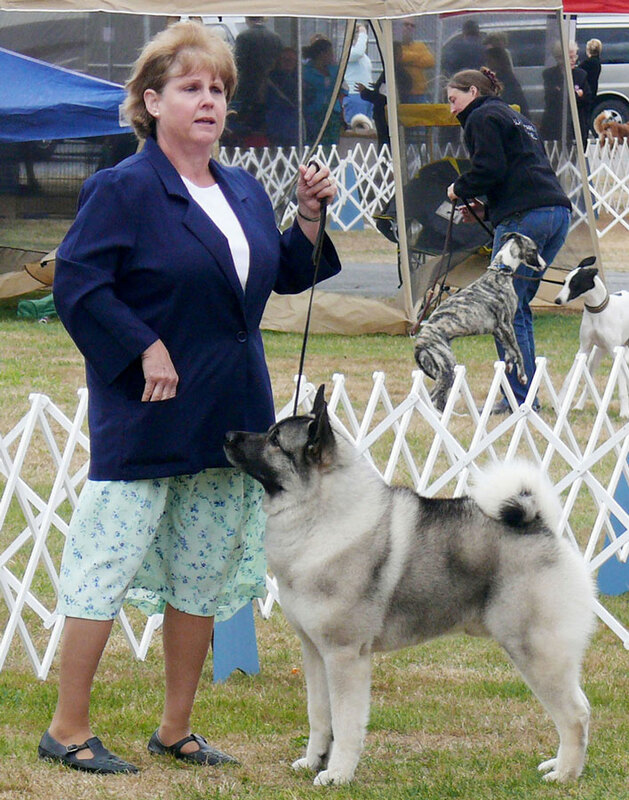 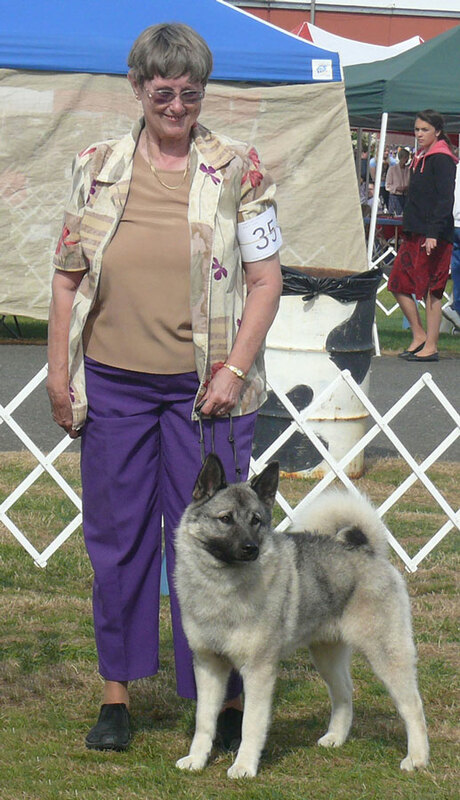 The size of these events ranges from large all-breed shows, with over 3,000 dogs entered, to small local specialty club shows, featuring a specific breed. 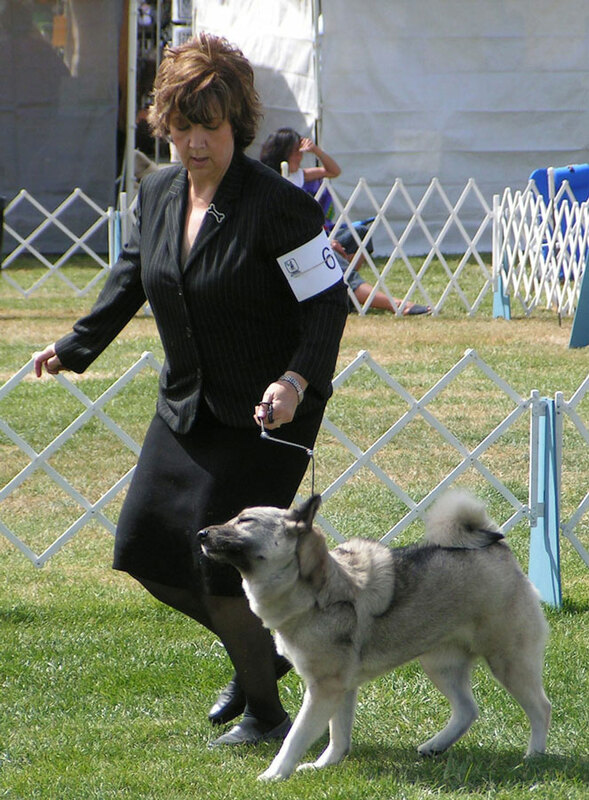 The dog's conformation (overall appearance and structure), an indication of the dog's ability to produce quality puppies, is judged. 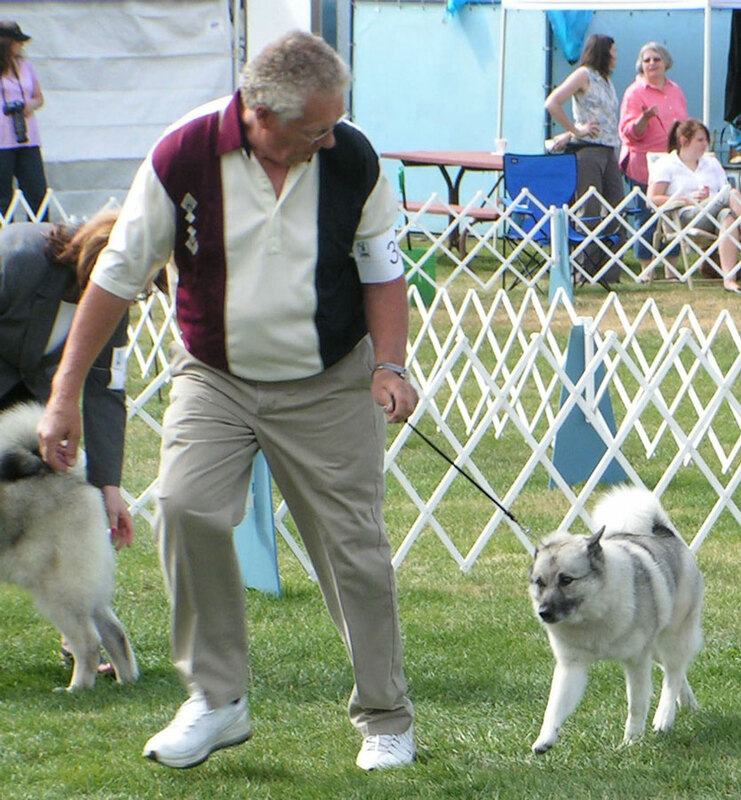 To see the results from our past Specialty Dog Shows use the Showing Elkhounds menu and select the year you want. 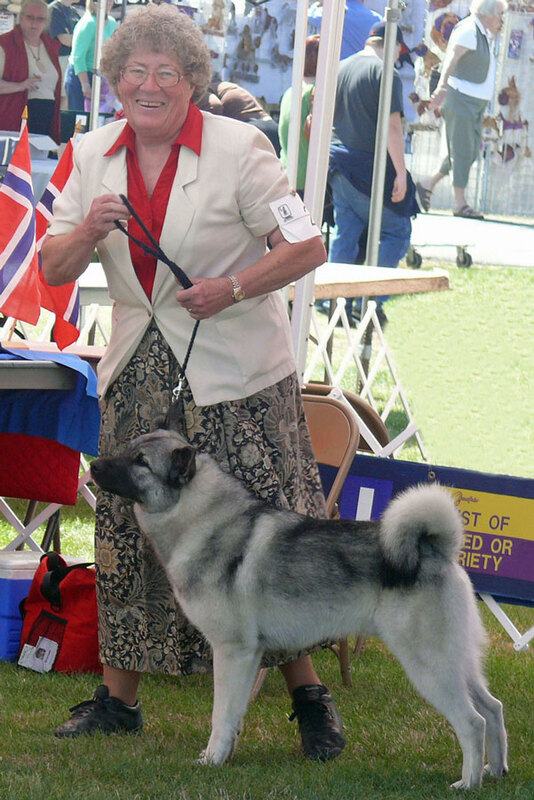 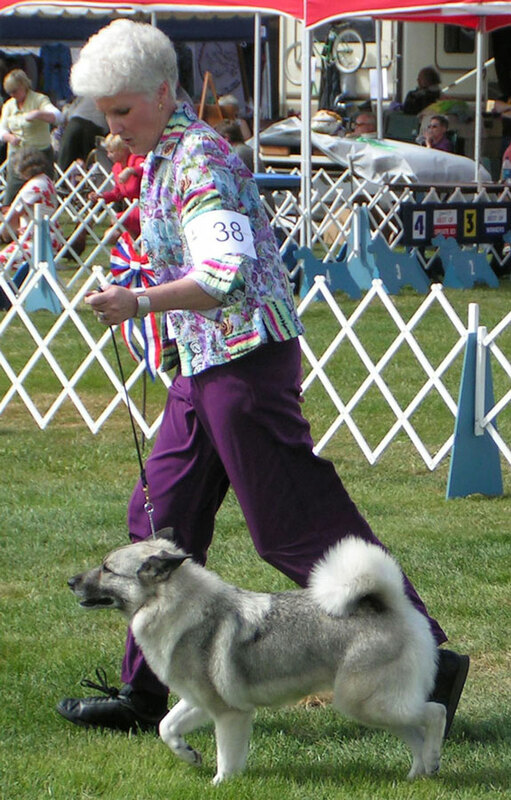 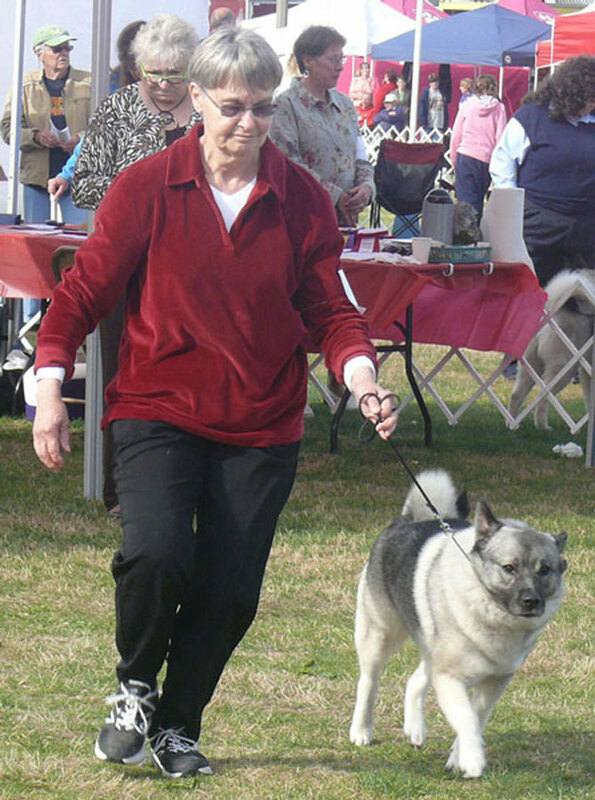 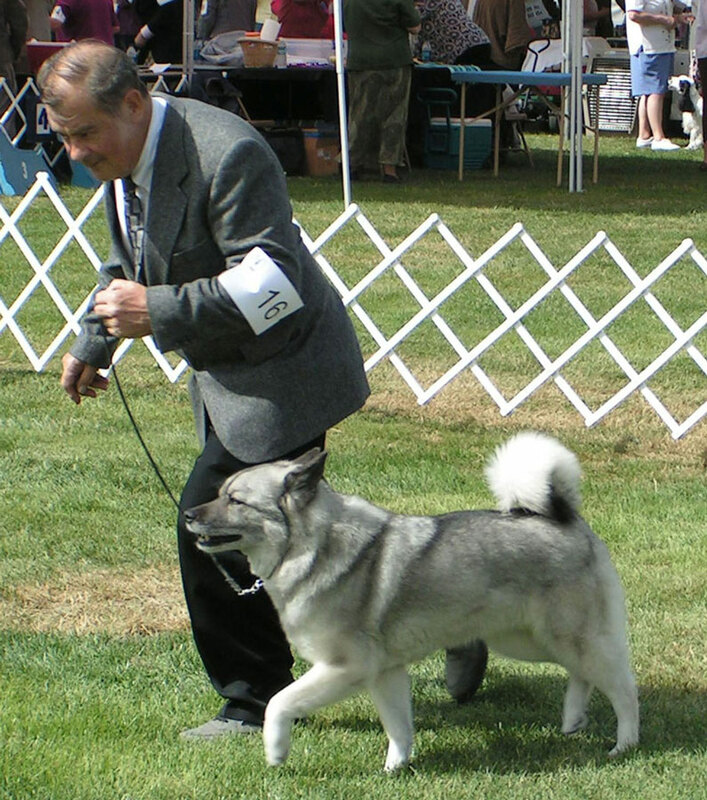 If dog shows are not your thing, but you’d still like to do something with your dog other than just feed it, check the activities under Owning Elkhounds. 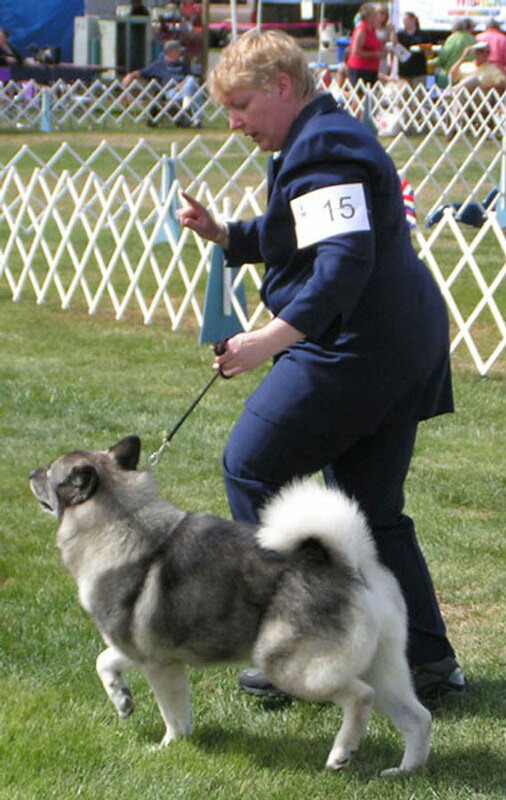 I’m sure we can all benefit from The Canine Good Citizen training.